PART NO : AMR4956. This Switch will Fit All Discovery 1 Models From 1994 Onwards. Manufacturer's Part numbers are used for reference purposes only. Vends interrupteur trappe a essence pour land rover discovery 2. Vends interrupteur lave glaces AR pour land rover discovery 2. PART NUMBER: WQT100030. 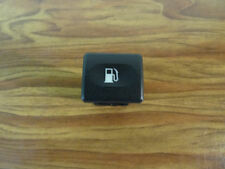 Genuine MG Rover Inertia Fuel Cut Off Switch. Caractéristiques de votreCommodo monobloc Caractéristiques de laLAND ROVER DEFENDER sur laquelle nous avons prélevé votreCommodo monobloc Modèle : DEFENDER 2.5 TD. Puissance DIN : 85. Cylindrée : 2495. 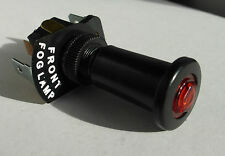 British Made Quality Lucas reproduction 519744 Quality Amber Petrol Choke/Diesel Heater Warning Light. Reference Numbers 238010, 519744 262924 & Lucas LU 38086 & 38043. As fitted to Land Rover Series 1 2 & 2a (1954-67). Plus de 15 ans d experience dans le domaine des Land Rover, societe immatriculee au RCS. Vends interrupteur WARNING pour land rover discovery 2. Vends interrupteur essuie glace AR pour land rover discovery 2. Etched nickel alloy. REST OF WORLD £1.25. 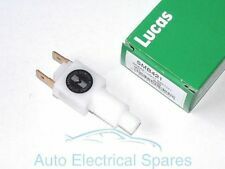 Also reference numbers Land Rover 238019 519740 & 262923 Lucas WL3/1 38085 38085A & 38018. As fitted to Land Rover Series 1, 2 & 2a (1954-1967). Many exclusively available here. 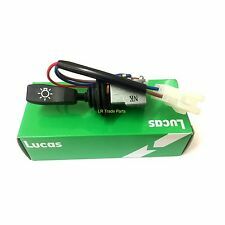 British Made Quality Lucas reproduction 238019 Quality Green Oil Pressure Warning Light. 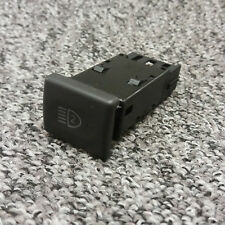 Lucas Land Rover Series 2A / 3 Main Master Light Switch OEM 1H9077L x1. Series 2a and 3. L R Parts Ltd is an authorized Bearmach distributor, we specialize in new Land Rover Spares, stainless steel bolt sets for Land Rovers and general maintenance parts. OE Part Number :- XPB101290 (replacing AMR 6105). Wheel Nuts Hi lift jacks & Acc. Tyres Safari Snorkes Defender Parts Discovery Parts Range Rover Parts Wheels Tools Gift Ideas Series Discovery 1 89-93 Discovery 1 94-98 Discovery 2 99-04 Range Rover Classic Range Rover P38 Range Rover l322 Freelander Discovery 3 Defender 90 & 110. OE Part Number :- PRC3875. Wheel Nuts Hi lift jacks & Acc. Tyres Safari Snorkes Defender Parts Discovery Parts Range Rover Parts Wheels Tools Gift Ideas Series Discovery 1 89-93 Discovery 1 94-98 Discovery 2 99-04 Range Rover Classic Range Rover P38 Range Rover l322 Freelander Discovery 3 Defender 90 & 110. 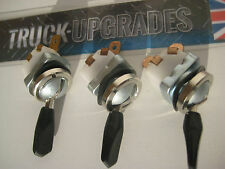 Land Rover Defender 90/110/130 Horn & Indicator Stalk, Wiper Stalk and Light Switch Set. 1 x Horn & Indicator Stalk (STC439). 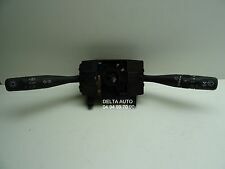 1 x Wiper & Wash Stalk (PRC7370R). Pictures are for reference only and specifications may alter without notice. On - Off - On switch. 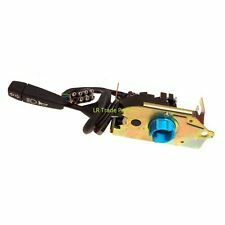 Land Rover Series 2 3 Lucas SPB101 Type Yellow/Amber Illuminated Pull Switch with LED bulb. Part No : BR2058G. A Quality Lucas. Suitable forLand Rover Series 2, 2a ,3. 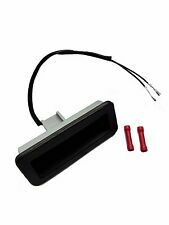 Heater & Headlight Switch SET. L R Parts Ltd is an authorized Bearmach distributor, w e specialize in new Land Rover Spares, stainless steel bolt sets for Land Rovers and general maintenance parts. 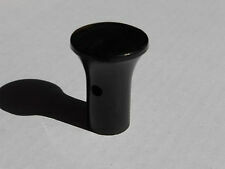 Land Rover Auxilliary Dash Plug Lucas Two Pin Cab185 82127 STC3334 Original Item. Land Rove Part STC3334. Lucas Part Cab185. 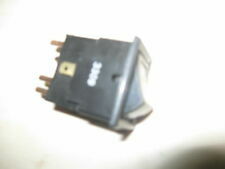 These plugs are in original condtion as seen from photos above dating back to 1985 and are in great condition. Part Number: XPB101290G. 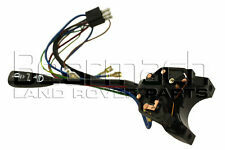 Land Rover Defender New Indicator, Horn & Headlight Dip Switch. Land Rover Defender TD5 & TD4 TDCi. XPB101290 Lucas Switch. Defender Parts. Manufacturer: Lucas (OEM). Series 2 & 3 - Defender 90/110/130, Discovery 1,2,3,4,5 & Sport - Freelander 1 & 2 - Range Rover Classic, P38, L322, L405, Sport & Evoque. Référence : AMR3713. LAND ROVER RANGE ROVER II (2) Phase 1. Commande hauteur suspension. Une référence doit être identique du début à la fin. 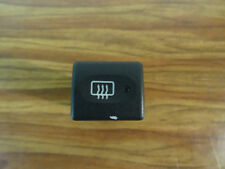 Land Rover Series 2 2a 3 Parking Lights Toggle Switch Genuine Lucas 65SA/SPB200 RTC430 Toggle switch with Tab. Reversible drive for both toggle switches plus larger ignition and washer switch bezels. Suitable forLand Rover Series 1 2 2a 3 & many other classic cars. 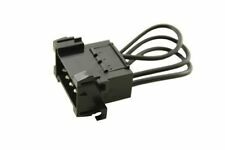 JLR YPC113220 6 way switch connector to suit.